What better place to ignite a revolution than the streets of Philadelphia - the birthplace of American independence? Pick up your controller, join the resistance, and take control of the city back from the Korean People’s Army. 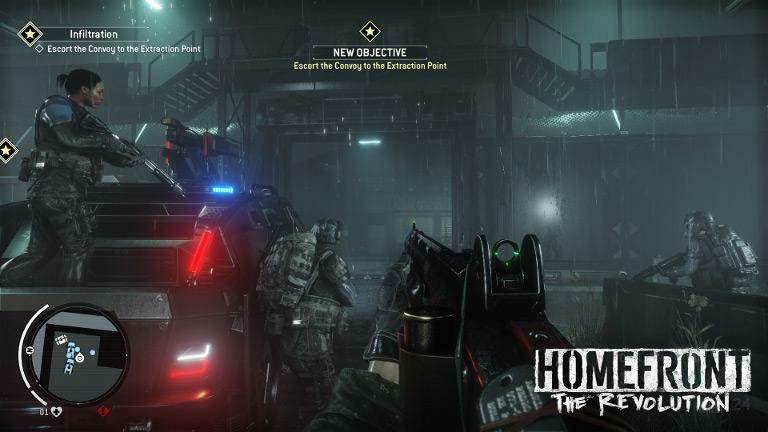 The Revolution has come to NVIDIA SHIELD – Homefront: The Revolution, that is. You can purchase this exciting first-person action game in the Geforce NOW store for $44.99, which is 25% off the regular retail price of $59.99. This price is valid through July 19th and includes instant, and unlimited, streaming rights on NVIDIA SHIELD Android TV: Just purchase, click and start playing! This price also includes a digital download code you can use to install a local copy of the game. 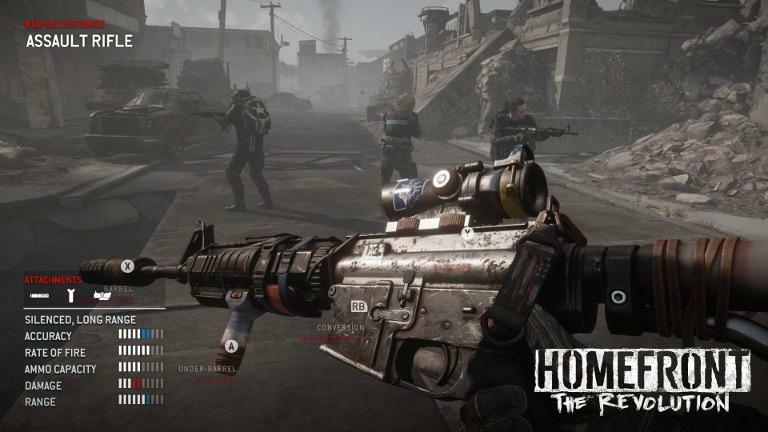 It’s the year 2029, four years after the start of North Korea’s invasion of the United States, which you may have witnessed in the original, first person shooter, Homefront. The brutal Korean People’s Army, or KPA, rules the country with an iron fist. The American people are dejected, down-trodden and without hope. Philly has become a ghetto in which her once-proud citizens now live in a police state in which merely surviving takes all their resources. Surveillance drones buzz endlessly overhead. Heavily armored troops and vehicles patrol the streets – “freedom” is barely a memory. You are Ethan “Birdy” Brady, the newest recruit and youngest member of the resistance. And it’s up to you to help turn this all around – one mission at time, one victory at a time and one block at a time. Win the support of the people and they will rise up to help you take the city back, and hopefully kick-start a revolution that will win the country back in the process. 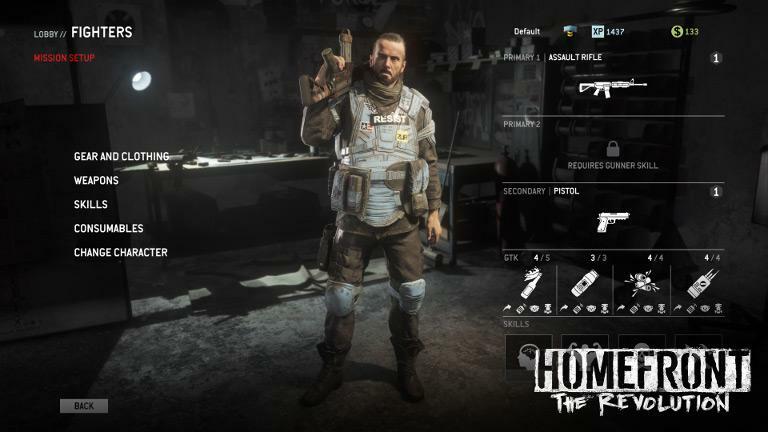 Homefront: The Revolution’s premise may sound familiar but the setting and core game mechanics have definitely changed. While the original first-person shooter kept you on a tight, linear path, The Revolution drops you in a completely open world in which you decide where to go, and what to do, next. Your enemy has superior technology, firepower, heavy armor, air support, and numbers. Under the guidance of your veteran resistance cell leaders, you must learn the art of guerilla warfare. 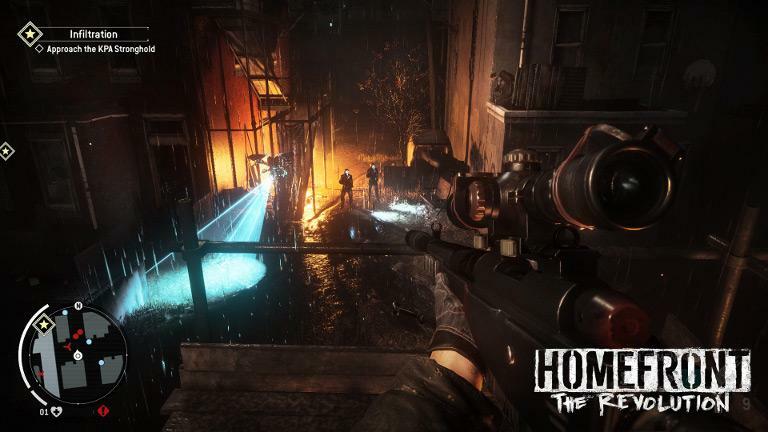 Ambush, sabotage, infiltrate, deceive, and outwit the KPA in a running fight through the war-torn streets of the city. It’ll be up to you to decide how to best employ these methods to establish new bases and safehouses, and recruit new revolutionaries to your cause. 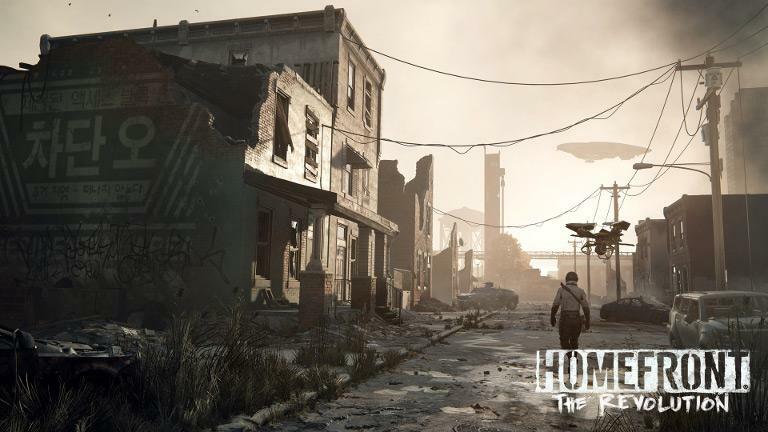 You’ll also need to explore the city to scavenge the parts you’ll need to build better weapons and equipment ranging from submachine guns and rocket launchers to remote-controlled cars laden with explosives. As you get stronger, and build a network of support, you will be able to delve deeper into the heart of enemy-controlled territory and take out increasingly vital, and more difficult, targets. Make the right choices and eventually you will plant your boot firmly on the KPA’s behind and send them packing. 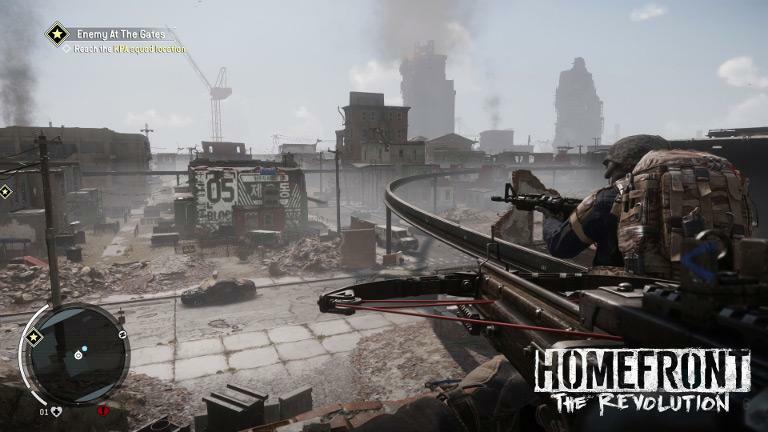 Get Homefront: The Revolution (First Person Shooter) in the GeForce NOW Store! To play, navigate to the GeForce NOW menu within SHIELD Hub on your SHIELD Android TV, portable or tablet. 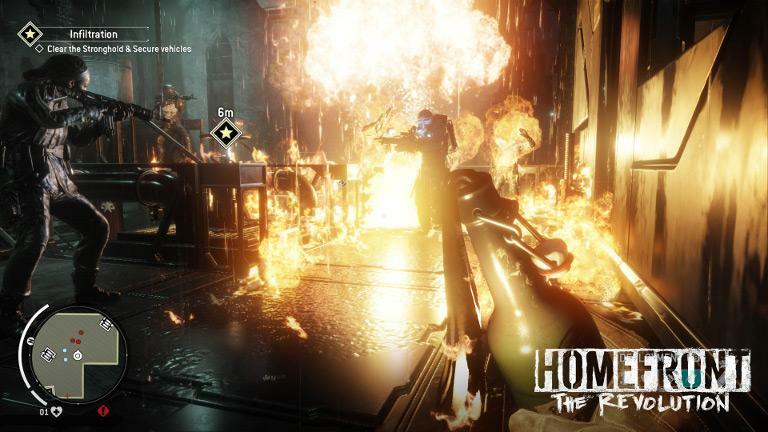 You’ll find Homefront: The Revolution in the Buy & Play Instantly category. GeForce NOW is the world’s first cloud-gaming service capable of streaming PC games at up to 1080p resolution and 60 frames per second. Members enjoy access to a library of 70-plus games they can play on-demand, plus the option to purchase new games and play them instantly. Membership is free for the first three months, then just $7.99 per month. If you don’t already own one, pick up anNVIDIA SHIELD Android TV today!